Our History | Comets Baseball Club Inc. Since the Comets Baseball Club was inaugurated and registered back in 1981, it has become widely recognised for its stability of administration and a high level of achievement, as well as setting a recognised standard of excellence. Originally known as the Como-West Jannali Junior Baseball Club, the Comets were an offspring of the Como West-Jannali Soccer Club. 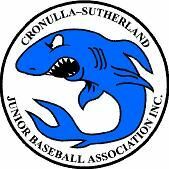 In the 1981/82 season, under inaugural club president Jim McDonald, they entered the Cronulla-Sutherland Baseball Association’s summer competition with three T-ball, four Junior and two Senior teams. The first meetings were held at the soccer club’s clubhouse, and chaired by Jim McDonald. He was assisted by club vice-president Brian Daniels, secretary Vicki McDonald, and treasurer Tony Harrower. The club’s designated home ground was the former Women’s Hockey Field on Soldiers Road, Jannali, which underwent a formal name change in 1993 to Jannali Baseball Field. By the 1987/88 summer season, and just six years after it was formed, the Comets had developed into the most successful baseball club in the district. That year they fielded 15 teams in baseball, T-ball and softball, and the depth of talent was evidenced by a record number of players who distinguished themselves at representative level. 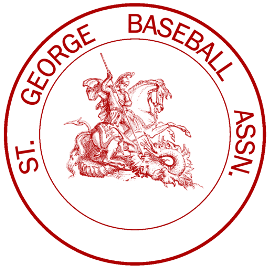 In 1993 Comets ventured into winter baseball, registering senior teams in the St. George Association. Later, junior teams would also participate in this competition. In 1998 and again in 1999, Comets Baseball Club won the St. George Winter Club Championship. By 1993 the club was applying to expand its home field to allow the playing of senior games. The club continued to use the existing but cramped facilities on Jannali Baseball Field until the devastating fires of January 1994 engulfed and completely destroyed the canteen and storage block, together with most of the club’s equipment. As in the past, Comets executives and parents rallied to restore the equipment and raise finances to rebuild the former facilities, albeit on a larger scale to fit in with the planned expansion of the club and its field. A combined canteen/clubhouse building was finally completed and in operation by late 1996. It had been a mammoth effort carried out by a lot of dedicated people. The newly expanded field, which could now accommodate senior games, was inaugurated the following year. In 1999, following an unbroken 18 years as club president, and having received a Hughes Award for his services to Shire baseball, Jim McDonald stood aside. At the presentation of his award, Jim was cited as “a great advocate of sportsmanlike behaviour and principles at all ages and levels. 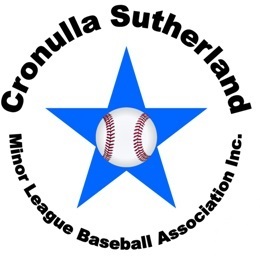 Over the years many young people from Comets Baseball have gone on to play for their shire, state and country, and his pride in their accomplishments is easily evident.” Later that year Graham Grigg took over the helm, elected unopposed as the new club president. He has since been re-elected to that position a number of times. Throughout its history, Comets Baseball Club has inspired its players to take pride in their club and uniform, and to do their best, both on and off the playing field. Eventually, as they graduate to more senior baseball, they are encouraged to pass on their expertise and knowledge of the game by assisting with coaching, umpiring, or managing of junior teams. In this way they help perpetuate the finest traditions of baseball, under the gold and blue banner of Comets baseball.